Australian airline Qantas has begun testing a new service that lets passengers pre-enrol at home for its facial recognition-based digital boarding service by using the NFC functionality in their Android mobile phone to capture the photo stored in their passport’s security chip. The pilot is taking place at Brisbane International airport and is open to Qantas passengers travelling on flights to Singapore, Hong Kong and Tokyo’s Narita airport. To take part, passengers first download the Qantas Facial Recognition App from the Play Store and then use a two-step process to store their passport details and photo on the app. Next, SITA explained, the passenger’s image is captured from their passport’s chip via NFC and the passenger uses the camera on their mobile phone to take a selfie. The selfie is then compared with the photo extracted from their passport to confirm that they are the authorized holder of the passport. They then check-in to their flight before they arrive at the airport and are able to access the Qantas lounge and board their flight without needing to show their physical passport or boarding pass at any point. 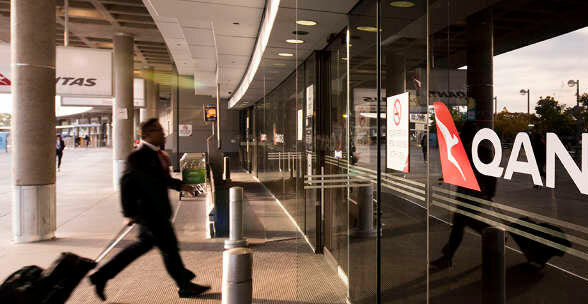 “Their data is safely secured and when customers are passing through the airport to the lounge or at the boarding gate, their passport data is matched to their face via cameras, eliminating the need to show their boarding pass or passport,” Qantas says. The NFC trial will run until early December 2018 “with passenger feedback used to help Qantas prioritise future biometrics trials and investments,” the airline says. “Customers have told us that they want to move seamlessly through the airport without having to present travel documents at every stage of their airport experience,” says Phil Capps, head of product strategy and development at Qantas. “Digital recognition certainly has its advantages, but it will never replace the customer service that our team are renowned for and there will always be Qantas staff on hand to assist,” he adds.